Today after visiting the dentist for the first time in 18 months I decided to try Oil Pulling. I don’t go while I’m pregnant because of my gag reflex and gum bleeding (please check with your OB and dentist for dental hygiene while pregnant). I decided on Monday I needed to go because of extreme pain in my front teeth. I thought the dentist would do a quick cleaning and tell me to de-stress for the pain. Well… He got the mirror out and to my horror pointed to a tiny black spot (see below) and told me I have a cavity! WHAT THE WHAT? I brush my teeth. I take care of my teeth. How do I have a cavity? Well who knows – I do know that I have a little over a month and I’m going to be putting Oil Pulling to the test. Oil Pulling – has been around for over 3000 years! It has to be legit, right? Well I figured 3000 years ago they probably didn’t know that you could have fresh breath and you could keep all your teeth. Oil Pulling has circled back around. I remembered I first heard about this ancient practice in 2013 on a mom trip. A few of the moms would get up every morning and before doing anything else they started swishing away. My stopping point back then is I hate Coconut Oil….and that is what the recommend. How do you swish something around in your mouth for 20 minutes a day if you hate it? You do it for your readers. HA! So I took a before picture (see below) and will follow up with an after picture the day I go to get it filled. 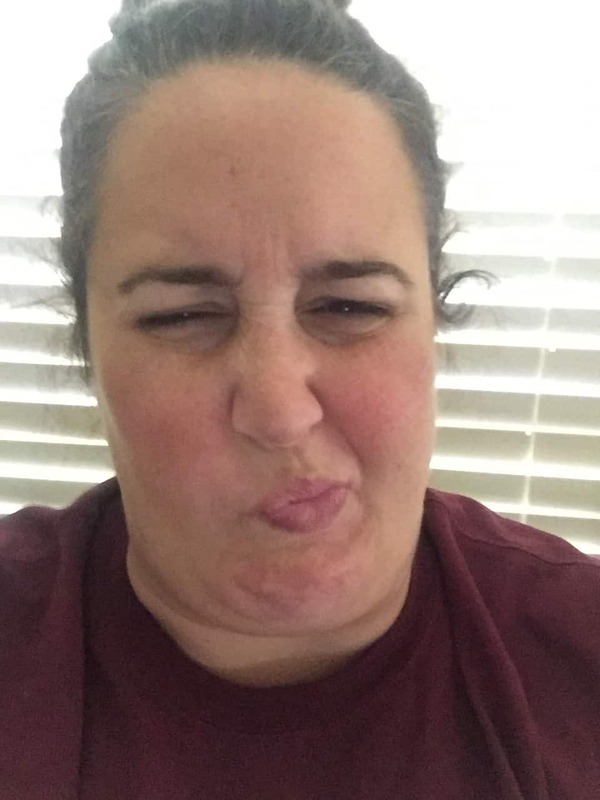 I scoop out about a tablespoon of Coconut Oil…Plug my nose and put it in my mouth. For those 20 minutes each morning I have to think about something else and do other things. Because if I don’t then I will gag myself. So if YOU have tried Oil Pulling – I want to hear about it….the good, the bad, and the grossness of it! Because it can get gross. Here are some of the pros I found when doing my research. Oil Pulling can help with gum inflammation, brightening your teeth, strengthens teeth, helps with sleep, helps sinuses and many more. My friends that have tried Oil Pulling have seen that their senses have even gotten better, food taste better. The BEFORE picture. It’s all innocent when you first get in the chair. 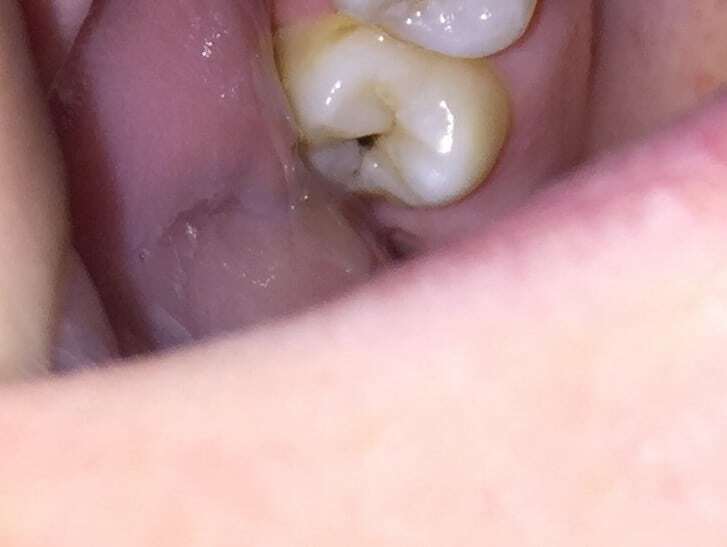 Oh my goodness – What is that Black spot and why is my tooth so yellow? I can’t believe I’m posting this pic. 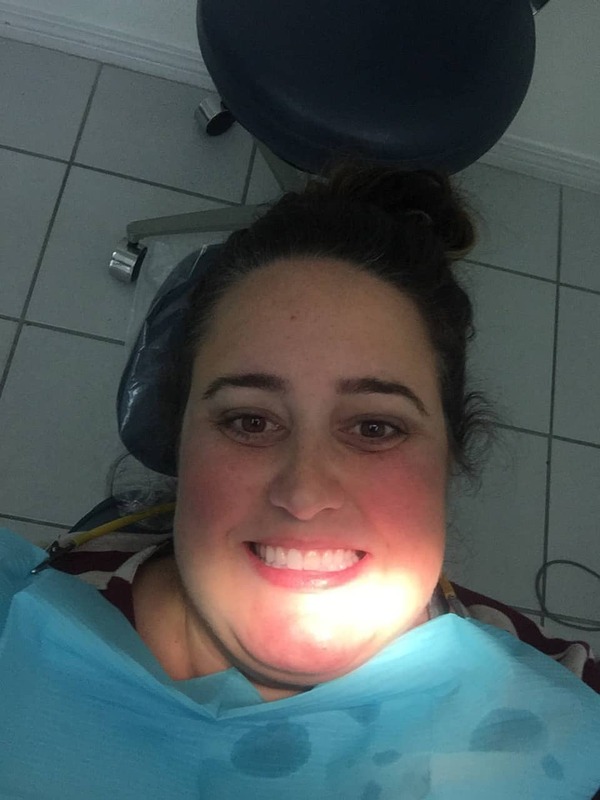 And Yes this is me…just woke up and Oil Pulling for 20 minutes… My grandmother is doing it and LOVES it!!! The key is (so I’ve read) is to do it when you first wake up. I would imagine because you are still half asleep and don’t realize what you are doing. Because if you were fully awake in the middle of the day – no one – would choose to do this on purpose! Unfortunately I think my Cavity was too far gone to help. I had some other great results from oil pulling that month. I noticed that my allergies weren’t as bad and that my teeth actually did look a lot prettier. If you are wanting to try this. I highly recommend it. You can try this Coconut Oil. As always please check in with your dentist regularly because they are the ones to help you stay in front of all these things. If you decide to try it let me know in the comments below. And if you have already tried it and have any additional tips please comment below. So what exactly does the oil pulling do? I might have to try it! Hi Kirsten. Love the name. Do you pronounce it like K-ER-sten? Oil pulling does a lot. I’m. I’m not sure how much is scientific but thousands have proven that it helps clean, whiten, etc your teeth and helps you not get as sick as much. Because the oil helps pull out all the bad stuff! !